Another brand new song from the stable of Ayo Vincent ushering the presence of God this year. 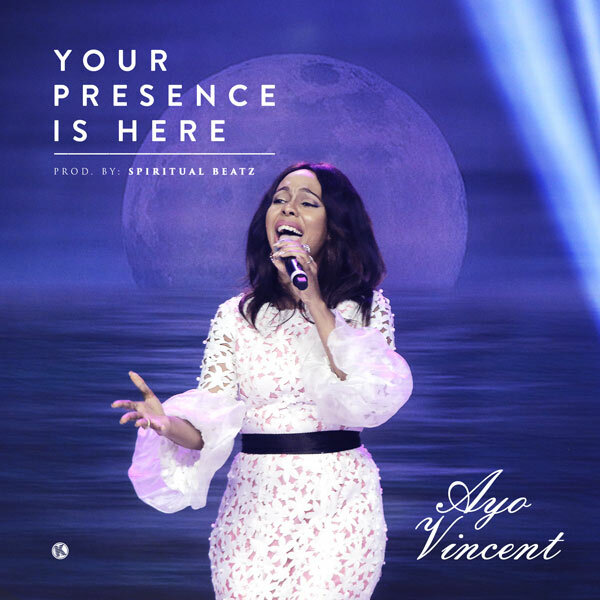 The new single which is titled “Your Presence Is Here” comes long after her previous song “You Reign” released in February 2017. Produced by Spiritualbeatz, this much awaited song will set you in the place of worship and definitely bless your spirit. “We are in the days of His Power and there is an unprecedented move of the Spirit. Whatever your needs, whatever your requirements, whatever your desires…His presence is the answer. Bask in His presence, stay in His presence and receive in His presence. In the year of the Supernatural, We bring you YOUR PRESENCE IS HERE. Listen, download, share and be inspired!